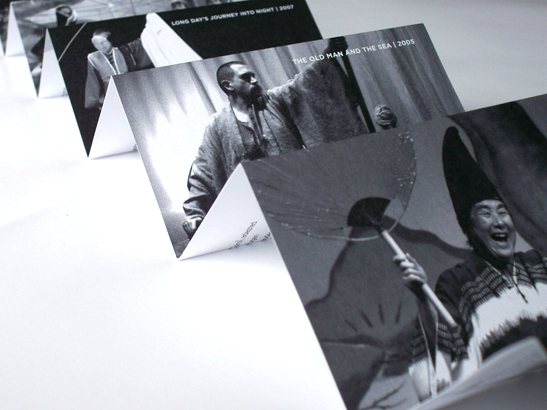 Promotional piece created for Theatre of Yugen's 30th anniversary. 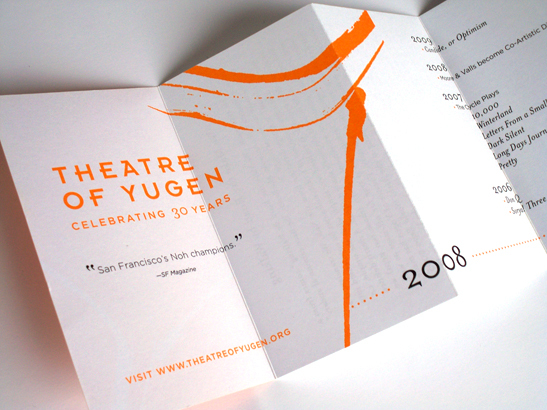 Theatre of Yugen is an award winning nonprofit ensemble theater company based out of San Francisco. The double sided accordion piece features the theatre's timeline on one side and images with information on the other.